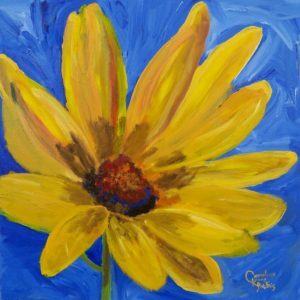 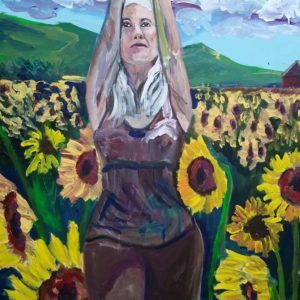 Wind Blown Sunflower is bold and full of dynamic golden energy. 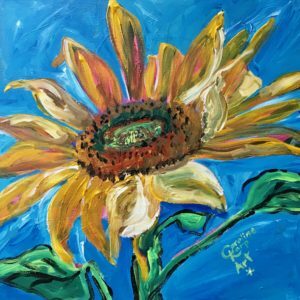 It is almost as if the sunflower is waving its long hair in the wind. 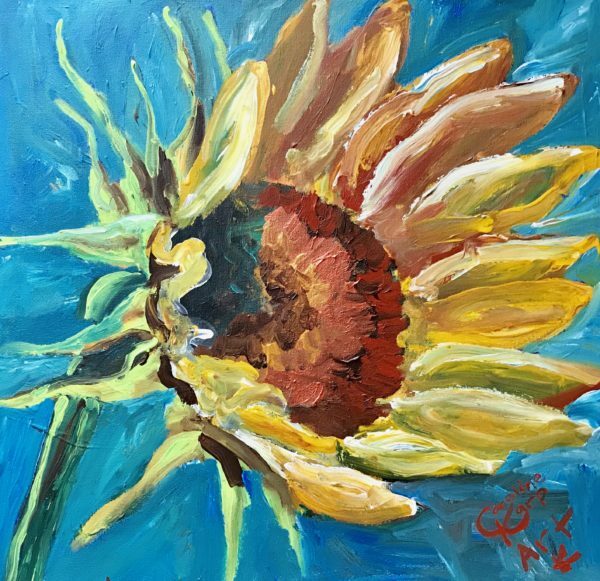 This sunflower has depth in it with blacks, bronzes, golds and chartreuse.